John Sharkey was admitted to practise in Victoria in 1968. He is the former senior partner and head of the Construction and Engineering Division of Norton Rose whom he joined in 1969 under its former title of Weigall & Crowther. John began to practise construction law in the mid-70's. In 1981 he co-authored Building and Construction Contracts in Australia (Law book Co.). A second edition was published in 1990. In 1986 John co-authored the text Commercial Arbitration (Law Book Co.). He is presently the state editor for Victoria and Tasmania of the journal Building and Construction Law. 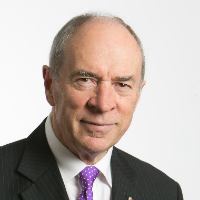 He is a former Chairman and presently a member of the Law Council of Australia's Construction Law Committee and holds the position of Senior Fellow at the University of Melbourne. He is a member of the Law Institute of Victoria, the Law Council of Australia and the International Bar Association.